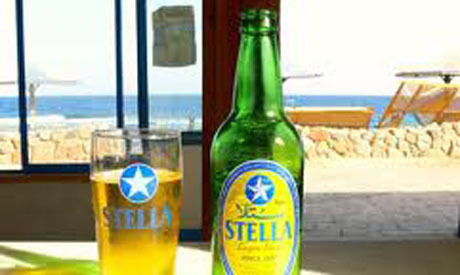 Egyptian Tourism Minister Mounir Fakhry Abdel-Nour has decided that prohibitions on the serving of alcoholic beverages to Egyptian citizens would be applied on all major Islamic holidays and not just during the fasting month of Ramadan, Egypt's state news agency MENA reported on Sunday. Serving alcohol to Egyptians during Ramadan has long been banned in Egypt out of respect for the holy month, during which Muslims tend to strictly abide by Islamic prohibitions and doctrine. According to Islamic precepts, the consumption of alcohol is strictly forbidden at all times. Abdel-Nour has reportedly decided to apply the prohibition on four other days of the year: the Islamic New Year, the holiday commemorating the Israa and Me'rag, Prophet Mohamed's birthday and the day of Arafa. According to MENA, Abdel-Nour's decision was made out of respect for "the feelings of Muslims." The serving of alcohol to Egyptians by restaurants or bars on any of these days, the decision stipulates, will result in severe legal sanctions. However, serving of alcohol to Egyptians on any of the aforementioned days has been banned for over 30 years. An owner of a popular mid-town restaurant-bar told Ahram Online that he does not fully understand how the new decision would affect his business. "My license of more than 20 years has prohibited me from serving alcohol to Egyptians during Ramadan and on those four holidays anyways, so I don't know what the minister's decision is about," he said. Since the election last month of the Muslim Brotherhood's Mohamed Morsi as president, speculation has been rife that Islamist political forces would seek to ban the sale of alcohol altogether. Parliamentary elections late last year saw the Muslim Brotherhood's Freedom and Justice Party and the ultra-conservative Salafist Nour Party collectively capture roughly three quarters of the seats in the People's Assembly (the lower house of Egypt's parliament). The concerns of the country's liberals and secularists, however, were eased somewhat after the democratically-elected People's Assembly was abruptly dissolved in June after a constitutional court ruled that the law governing last year's legislative polls was unconstitutional. But fears of theocratic rule in Egypt were renewed once again after the Brotherhood's Mohamed Morsi was inaugurated as Egypt's first freely-elected president last month. Morsi has yet to appoint a new prime minister, who, along with the president, will be responsible for drawing up a new government. In the meantime, Egypt's interim cabinet – led by Prime Minister Kamal El-Ganzouri – is expected to remain in place until the appointment of a new government.